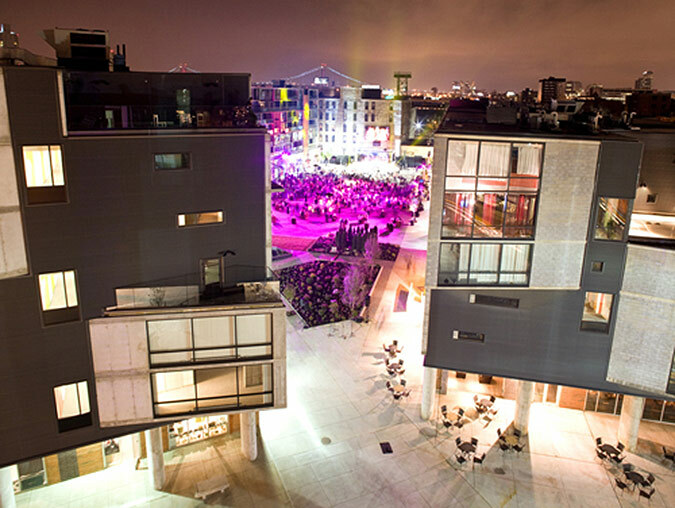 As president of Philadelphia’s Northern Liberties Neighbors Association, I was pleased to see William Menking review our city’s innovative architectural scene (“City of Designerly Love,” AN 14_12.04.2013). Yet I was surprised to see my community dismissed as the “troubled surrounding neighborhood” of the Piazza, a large mixed-use development anchored by a central plaza. The Piazza can feel disconnected from the rest of the neighborhood, as Menking says. But Northern Liberties is not troubled: It’s Philadelphia’s fastest-growing community, with a 60 percent rise in population over the last decade. Multi-unit construction, industrial conversions, and infill development are everywhere, as are new restaurants and bars, entertainment venues, retail and service businesses, and professional offices. This is no mere civic boosterism. Northern Liberties has problems, but they are problems of gentrification, not underdevelopment: decreased affordability, increased traffic, high commercial turnover, and pressures on demographic diversity and community fabric. Menking is right to say the city needs to upgrade neighborhood infrastructure—but not to spur redevelopment. That ship has sailed. We need better city supports to accommodate the new density of active uses, restore access to affordable housing, and reserve property for public needs. As an urbanist and frequent visitor to New York, I understand Northern Liberties might look rough around the edges compared to many redeveloped Manhattan and Brooklyn communities. But if we want to shape the future of Philadelphia’s neighborhoods, we must assess their present accurately.